Much confusion I sense. Jedi rework possible, yes. Farm Yoda, I must? Okay, enough of that! Grandmaster Yoda, the first legendary character introduced (also the first legendary character to not really live up to that moniker) is getting reworked. Where will he fit? Is he pve? Is he pvp? We take a look at his new changes and then discuss what we think of him. OH! Almost forgot... all of heroic sith raid reward tiers are changing... that may be a "little" important... just a little. 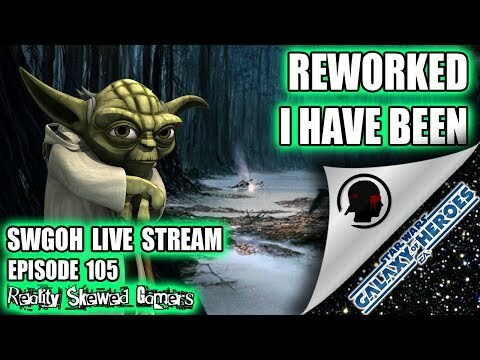 So join us on this jam-packed news week for this week's SWGOH Live Stream Episode!!! Nice cant wait to hear the stream. RSG is amazing.